Back when I first became interested in the Cretan diet, somewhere I read a saying that I cannot remember accurately but that went something like this: “better my own greens and olives than foreign sugar doled out to me by others.” From a health standpoint, certainly, better any greens than any sugar, no matter where it came from. So after the broccoli under frost blankets in my garden beds finally gave in, having produced most of the winter, I pulled out the broccoli plants for the goat and chickens and left all the weedy little seedlings under the blankets to grow into salad greens. In addition to real weeds like wild lettuce and arugula and sow thistle, which sow themselves all over the place at my house, there are some greens like chickweed which are very weedy in other parts of the country, but which I actually had to start from purchased seed because they don’t grow around here. Another treat that I am really enjoying in salads right now is celery micro greens, of which I have a large cluster simply because I forgot to cut down one of last year‘s celery plants before it went to seed. Now, tender 4 inch high celery has formed a dense patch over a foot in diameter, and it is very delicious in salad. With a wide enough assortment of wild and semiwild greens and herbs, a simple vinaigrette is all you need to have a great salad or side dish. Add some meat, eggs, or cheese and you have a meal. I did make sure to have one established dandelion plant under frost blankets, but it is not doing any better than the ones in the open. Dandelions absolutely resist being civilized, and they do not adapt to us. They just keep doing their own gloriously wild thing. Dandelions also resist selective breeding. I have bought expensive packets of seed that purported to produce larger, thicker-leaved, more delicious dandelions, and they are exactly like all the other dandelions around. This year, in some fit of madness, I spent €24 ordering two packets of highly specialized dandelion seed from France, despite the fact that I know perfectly well they will come out exactly like the common yard dandelion. Early spring is the perfect time to learn to do a little foraging, if that is not already one of your hobbies. 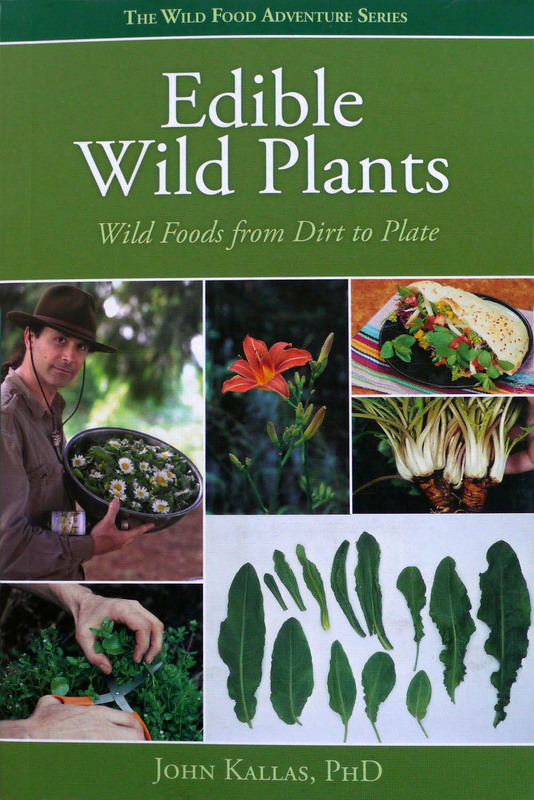 I would suggest starting out with the wonderful book from John Kallas, Edible Wild Plants: Wild Food From Dirt to Plate. Most of the plants that Dr. Kallas describes will be found in your area, because they are common and ubiquitous, and he will teach you to identify like an expert and then get you doing delicious things with them. 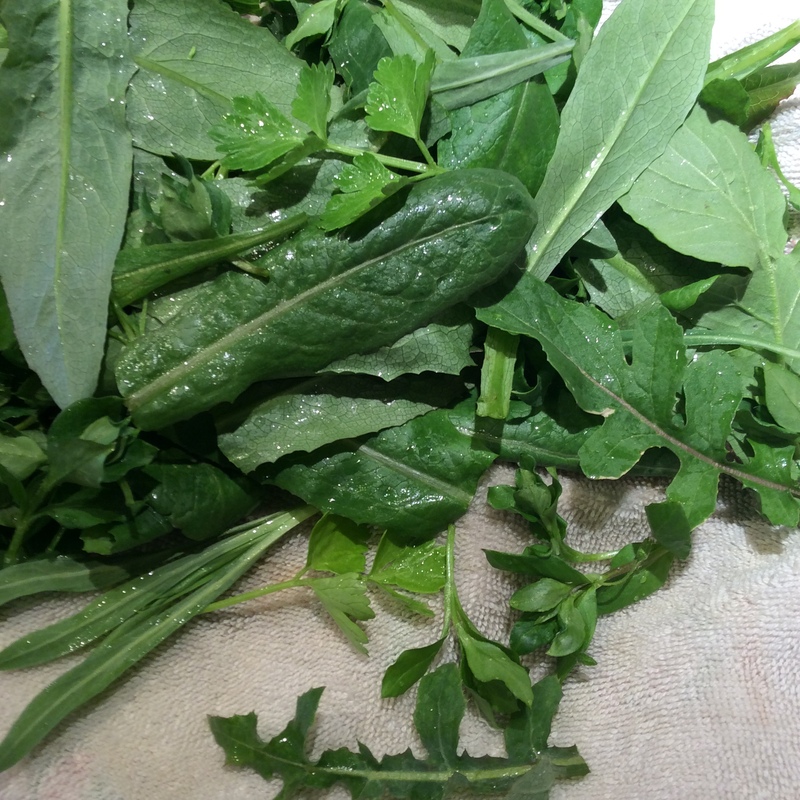 Just recently, over maybe the last six months, I have noticed that any post I write that is tagged as having anything to do with wild lettuce gets an astounding amount of attention. I wish that somebody could explain this to me. Because I have been foraging and eating this plant for a good 20 years, and despite some strange Internet rumors I feel that I can definitively say as follows: it will not relieve pain. It will not cure insomnia. It will not get you high. I wish I understood where these ideas came from, because they certainly did not come from anybody with a knowledge of foraging wild plants. Really, if your goal is to get high, please leave the wild lettuce for those of us who just like to eat greens. Once in a while I see wood sorrel, but I have big fat healthy clumps of garden sorrel, so I use that.